HAVE YOU GOT VEGAN FEVER ? IF YOU’VE MADE A DECISION THIS JANUARY TO ERADICATE MEAT AND DAIRY FROM YOUR DIET YOU MAY ALSO HAVE DECIDED TO JOIN VEGANMANIA 2019 AND DO RIGHT BY OUR FURRY FRIENDS WITH YOUR HAIR COLOUR AND PRODUCTS. This would normally be for anyone who fell into the growing number of people in the last 10 year who used only products that are cruelty free which meant that none of the ingredients used to manufacture the final products were tested on animals at any stage during the manufacturing of the product.However the rapid rise of Vegans which has slowly been on the increase since 2013 has increased phenomenally in the last few year. 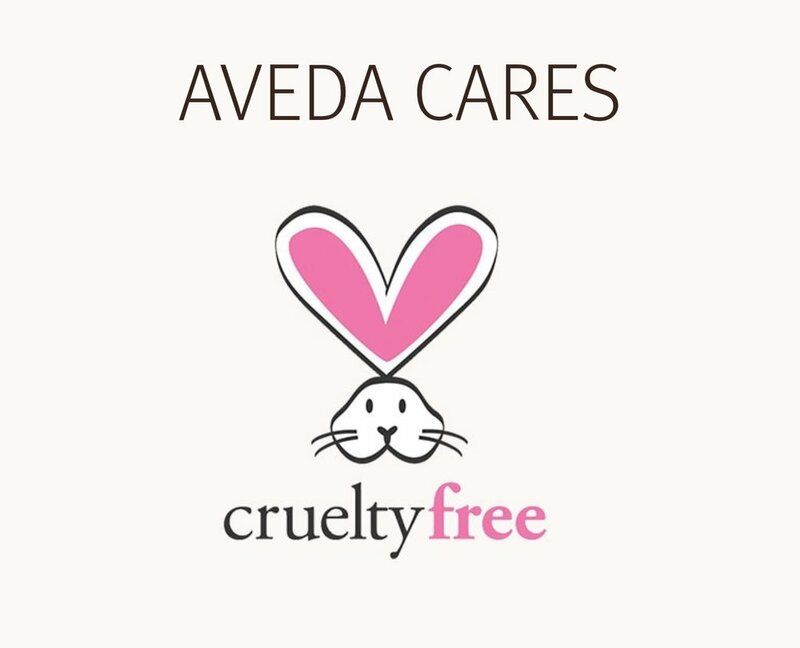 AVEDA which is the brand that we use here at Pello Hairdressing and have used for the last 11 years has proudly been cruelty-free since 1978. Aveda’s founding principles, namely of using high- performing ,naturally derived ingredients and distinctive aromas, abiding by a cruelty-free, no animal testing policy and following an environmental mission, is the reason that we adore this brand. The rapid rise in the numbers of Vegans since we have started using Aveda have made guest look at beauty and hair products with a completely different attitude to even pre 2015.Aveda have introduced a huge amount of Vegan products to their already extended range and choice of products from body ,skin and hair.They tick all the animal welfare boxes. Aveda have always been at the forefront of ethical branding with all the products that they use being up to 96% naturally derived. Using vegan friendly formulas certainly doesn't mean that you have to compromise results for ethics. If you suffer from sensitive skin, rosacea or acne , a diet low in animal fat is not only healthier for your body but is also essential for your skincare regime. Ingredients derived from animal products tend to have a dense texture and as a result can clog your pores.Plant based products are not only more soothing on your skin but also contain more vitamins , minerals and nutrients which is ultra beneficial to your skincare regime. DID YOU KNOW ALL OUR PRODUCTS FROM OUR HAIR COLOUR TO OUR RETAIL PRODUCTS ARE UP TO 96% NATURALLY DERIVED ? At Pello Hairdressing not only do we stock all aveda products but we also do cruelty free and vegan make-up. “Treat your hair with extra care”. Aishling adds” If you spent 2018 heat styling, bleaching or physically damaging your hair with combs, brushes and tight styles – make a date with your hair for some regular TLC”. Aishling would suggest trying Damage Remedy and using the INTENSIVE RESTRUCTURING TREATMENT once per week to give your hair extra love for Spring.Better still why not treat yourself to an in-salon Botanical Spa Treatment. Find time for self-care. Everyone is busy. That’s just a fact of life in the 21st century. But make a point to indulge in some self-care to calm and center yourself.Why not pop in to the salon for some pampering .As you sip your comforting green tea , sit back, chill out and relax with a complimentary hand massage, head massage and indulge in one of our sensory journeys rituals to balance your inner Chakra . Bring back your glow. Twenty-eighteen was a tough year for some of us. If your stress is showing on your skin, restore your glow for Spring and greet each day of 2019 looking healthy and radiant. Our favorite way to get glowing? Tulasāra anti-aging range! That's our top tips this week for the Pello Hairdressing team. We are ready and waiting to get your tresses in tip top condition for Spring .You can call in and see us in Letterkenny Shopping Centre next to Penny's). All our consultations are complimentary.